We recognize that each plan – and plan sponsor – is unique. 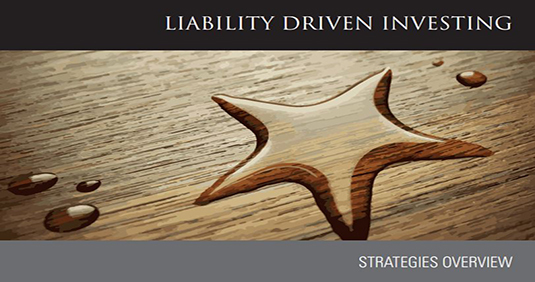 We customize our LDI solutions to match the liability profile, goals, and risk tolerance of the plan sponsor. Our portfolio managers and ALM professionals interact daily to ensure successful implementation of tailored portfolios that incorporate fixed income and tactical ETF strategies. Each investment strategy is rooted in actual market conditions and guided by a strong risk management discipline.